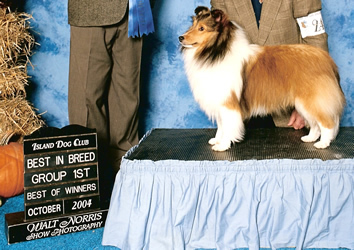 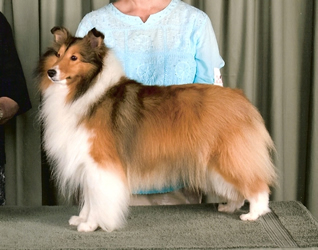 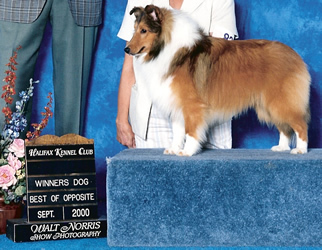 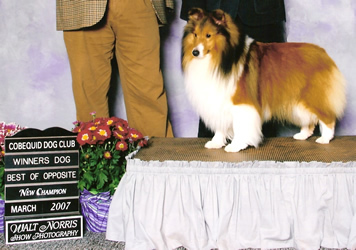 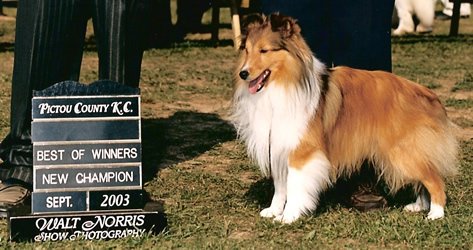 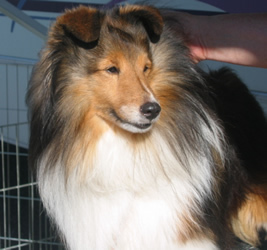 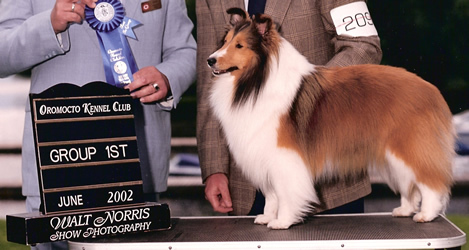 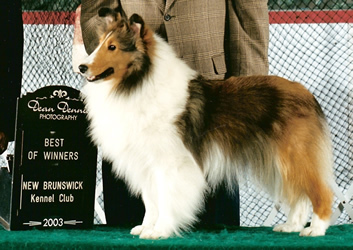 #2 Sheltie in Canada in 2002.
where she was deemed best groomed! 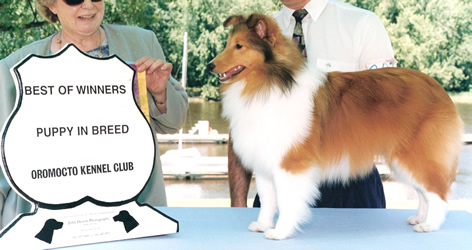 Owned and loved by Gerald & Ann Cormier. 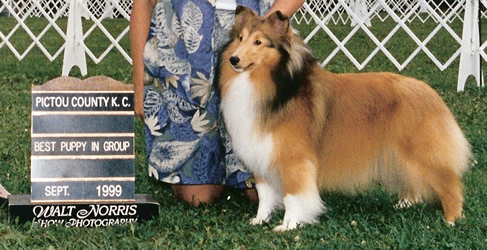 Co-bred with Len & Jean Cormier. 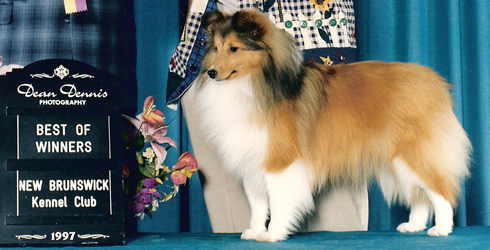 TrueSpirit Shelties, and may not be reproduced without permission.